Dust Collector for Industrial Systems | Home | BGRS, Inc.
BGRS,Inc founded in 1976, is a pioneer of excellence in solids handling. We historically have provided portable abrasive blasting equipment, dust collection and recycling systems for the coatings industry. We have been active in the solids material handling and dust control equipment industry since 1980. Our design and manufacturing facility in northwest Harris County has served the chemical, petrochemical, abrasive blasting, coatings, manufacturing, food service, water and wastewater, energy conveyance, and pharmaceutical industries. 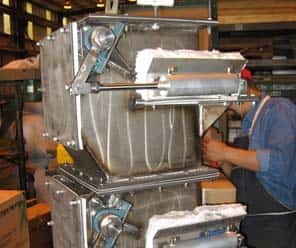 Make your jobs safer and easier with proven quality from BGRS Inc. of Houston, Texas by controlling dust with our industrial grade Portable Dust Collectors. 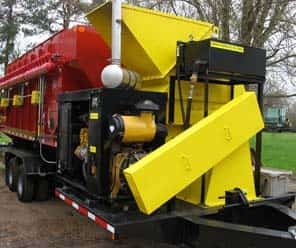 We provide our standard mobile and skid mounted Portable Dust Collectors in capacities ranging from 2,500 to 45,000 CFM. These units are available for Lease or Sale. These Collectors are a “proven” design with filter life often exceeding 10 years. We can also provide “custom” design collectors of any size up to and including 60,000 CFM. The Polyester Felt Cartridges we pioneered have proven to be the best design on the market. Contact us today and let us help you. BGRS Portable Dust Collectors are designed to handle dirty air, and are useful in venting hoppers, barges and tanks that dry solids such as sand, lime, and fly ash material are being transferred to. The BGRS Double Dump Gate – Airlock Valve is designed to the highest standards for a wide variety of solids material handling, pharmaceutical, and food service industries. 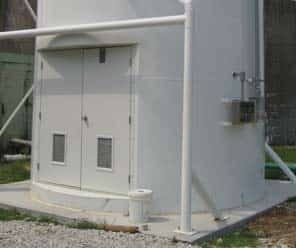 BGRS, Inc. has supplied Dry Product Storage and Chemical Feed Systems for municipalities and industrial plants since 1987.